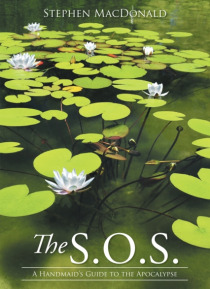 The S.O.S. A Handmaids Guide to the Apocalypse. For all the ages are not worth the day on which the Song Of Songs was given to Israel. For all the writings are holy but the Song Of Songs is the Holy of Holies . These words by Rabbi Akiva ben Yoseph, who is considered to be one of the greatest Jewish rabbis, were uttered during a debate when the Song Of Songs was being considered for expulsion… from the Tanach. He clearly won the debate. Of all the one thousand and five songs penned by King Solomon, one song gained the superlative The Song of Songs . There are many ways that this Song has been interpreted through the ages but until now, at a time such as this, it has been a hidden eschatological treasure. Once the reader sees the meaning of Chapter Five they will never read it in the same way again. This book uses the Song of Songs as a commentary on the Parable of the Wise and Foolish virgins. There are many references in the Song which act as keys to unlocking the message that will leave the reader in no doubt that we are now in the time when we need to be preparing ourselves for the return of our Lord Jesus Christ. Sue Semper. I have been a Christian for many years and many times heard it preached from the pulpit that the return of Jesus is imminent. Now older in years and a bit wiser I know there are events to take place before His return. Reading this book has brought to light that this day is almost upon us and I want to be awake and ready for the return. Thank you Steve for taking the time to produce this book it really is time for believers to wake up.